The International Association of Physics Students represents, through its member committees along with individual members, thousands of students from all over the world Therefore, considering rights are a fundamental basis for students’ academic development and civic engagement, IAPS has the responsibility of addressing matters related to students’ rights, taking a stand whenever these are in any way undermined. So, the IAPS Executive Committee has issued a statement to affirm its position on the danish government’s policy of reducing the number of international students opportunities in danish universities, including in Science-related courses. The IAPS EC believes this decision is wrong and deeply hurtful, particularly for the scientific community, as it restricts the possibility of students, as future professionals of Science, to expand their cultural and scientific horizons, connect and establish working relationships and friendships with their colleagues from other countries and cultures and participate in projects that benefit from transnational, diverse perspectives – all fundamental aspects of the identity and dynamic of the global scientific community. As Science and knowledge know no boundaries, so shouldn’t the institutions that have the purpose of enlightening students on the amazing and diverse areas of the scientific endeavour, of which all who share the drive to explore nature and the cosmos should be able to be a part. Read through the statement below! Usually one might think of an international event to be located at some place one has to travel to – which can be a huge effort not everyone is able to take. Therefore, we are particularly proud of the IAPS School Day concept which was established in 2015 during the UN International Year of Light. It’s both local and international! On the 10th of November, the World Science Day for Peace and Development, all our members perform locally at their universities or in schools a project day for high school students under a common topic. The topic for this year is “Acoustics”. One of the goals with this international event is to make more pupils interested in physics. To sum up, the School Day can be run locally, but it can still be internationally connected e.g. via video calls between committees. So come let’s join hands together to educate and inspire the world with beauty of Physics and play a part of a tone to this wonderful melody of science education and outreach. Got some ideas and plans on activities and your model of celebrating the School Day? Maybe you could be of help to many others willing to participate. Do send us your plans and ideas at edu (at) iaps.info or at binod.bhattarai (at) iaps.info. Or are you wondering how you can model a day and activities? Do write us at any of our above email addresses with your questions and queries. We will connect you with other interested committees like yours and you can collaborate to participate in the School Day together. You can get some help from the following guideline adapted from our IYL, School Day Guideline. However, please note that you don’t have to stick to this guideline and you may design the day and activities you want to include as per your wish and needs. While you start modelling your school day event, do your activities require experimental setups and instruments ? Is the financial need stopping your association from organizing the best School Day event you have planned? Do not worry, you can also apply for the famous IAPS School Day Grant. IAPS is willing to support up to 400 Euros per association as a support for organizing the School Day with up to 1200 Euros given out by IAPS in total. You can find the link to the grant call here. Send us a proposal before October 15, 2017. The following open letter has just been approved by the Executive Committee of IAPS in which we support the AstroMundus programme. The programme allows many students in the EU as well as around the globe the opportunity to have a world-class education in astronomy and astrophysics at universities in several countries. As the programme is set to be discontinued, we have written this letter to the European Commission. A special thanks goes to IAPS member Suzanne Dalgleish, who made us aware of the problem, and to IAPS volunteer Binod Bhattarai for his help drafting the letter. See the .pdf of the original letter here. It has come to the attention of the International Association of Physics Students (IAPS) that the AstroMundus programme is being discontinued. The AstroMundus programme is undoubtedly a great opportunity for students from all over the world to learn in an excellent international environment and foster the intercultural dialogue and exchanges between students from all over the world. AstroMundus has been a 2-years ERASMUS+: Erasmus Mundus Joint Masters Degree programme in Astronomy and Astrophysics (120 ECTS). The programme was initiated in 2009 as an Erasmus Mundus Masters Course and has been continuing within the framework of the new Erasmus+ programme of the European Union. The Masters Course was offered by a consortium of four partner universities in Austria, Italy, Germany, and Serbia, with the participation of four research institutions as associated partners in Italy, Serbia, and Germany. Physics is without a doubt an “exciting intellectual adventure that inspires young people and expands the frontiers of our knowledge about Nature.” (Statement by IUPAP, March 1999). Physics graduates are the pillar to the world’s economy. The fundamental discoveries made by Physics graduates and students are the building blocks to the technological advancements, that will help drive the economy forward and improve the overall quality of life of the whole human civilization. Physics is an essential part of the educational system and of an advanced society and this can only be achieved through support of physics education and research in all countries throughout the world. AstroMundus students currently carry out their master studies in at least two and up to four of these countries (Austria, Italy, Germany, and Serbia), in a stimulating and scientifically excellent international environment with a four-semester sequence. A limited number of scholarships for the course that will be starting in September 2017 is expected to be funded through the Erasmus+: Erasmus Mundus Joint Master Degree programme of the European Commission and the AstroMundus Consortium. The main objective of the programme has always been to provide top-ranked students with an excellent background in Astrophysics, introduce them to the world of modern astrophysical research, and foster their future career in this field. At the same time, in the spirit of the Erasmus Mundus programmes, it aims to promote cultural exchanges between non-European and European students and academics. This is unprecedented in traditional single-country university studies and a continuation of the programme would lead to a further strengthening of international connections. Thus, the programmes like AstroMundus should be continued with even higher capacities and facilities than that in present so that the deserving and capable young minds could be supported. Owing to the great success and importance of this programme, we hereby declare this open letter of support to the AstroMundus programme. 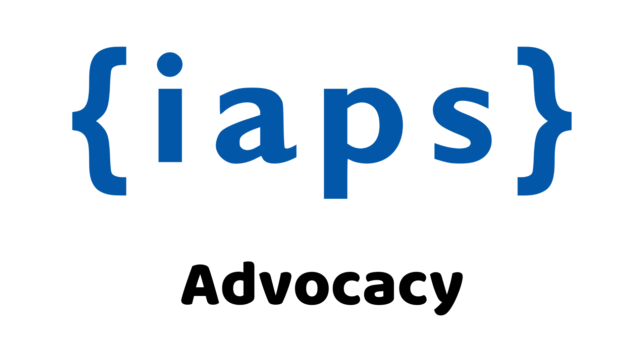 IAPS is an international, student-run educational association. It comprises students enrolled in a University or similar institution on a physics or physics related course, as well as up to twelve months after receiving a degree from a university or similar institution. We are an association of physics students and student societies from around the globe working to promote peaceful collaboration amongst them. Our members are represented by national and local committees, who meet regularly to ensure the relevance of our activities. We currently have 15 National Committees and 15 Local Committees across the globe along with over 100 individual members from different parts of the world. To introduce physics students to the international community, help them to build professional relations and foster a collaborative attitude amongst young physicists across the globe. To organise international conferences and events run by physics students for physics students. We envision IAPS as an international association of many members, who share activities both large and small, and their knowledge and experience with each other on a regular basis; who form a real community through their common interests and needs, and who actively take part in forming their environment. Through this open letter of support to the AstroMundus programme, IAPS anticipates that the programme will be continued and reach as many students worldwide as possible.